The Help to Buy scheme is designed to help first-time buyers purchase an affordable new build. Find out all you need to know and how you can benefit with WhatHouse? 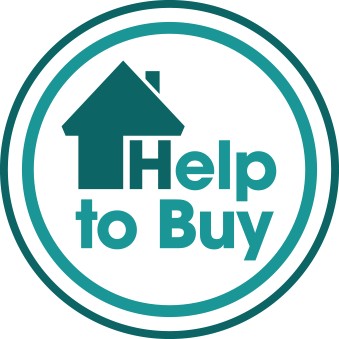 Help to Buy is a government scheme that was introduced in April 2013, financially supporting new home buyers in purchasing their brand new homes. The required deposit is reduced down to just 5% because; the government offers an equity loan of 20% of the property value at an interest-free rate for the first five years. This loan only needs to be repaid when the property is sold, providing the government with 20% of the current property value. Now used as an ‘umbrella’ brand for a variety of government homebuying schemes, the main part of this initiative provides financial assistance to buyers in the form of an equity loan, a lump sum added to the purchaser’s deposit to reduce the size of the mortgage. Hundreds of housebuilding companies, even prestigious developers such as Barratt homes, have signed up to the scheme. The Help to Buy scheme is available to both first-time buyers and current homeowners looking for a new build. From 1 April, 2013 to 31 March, 2018, 169,102 properties were brought through the Help to Buy equity loan and 81% of these properties were purchased by first-time buyers. In London, Help to Buy rules slightly differ with the equity loan rising from 20% to 40% in February 2016, increasing the amount of homeowners in London using Help to Buy. The rest of England provides a 20% equity loan for properties up to £600,000, the same as in London. Help to Buy (Scotland) provides a 15% equity loan to homebuyers looking to purchase a new property under £200,000. The Help to Buy scheme in Wales also differs slightly from England, offering the same 20% equity loan but on properties under £300,000. Recent Help to Buy news. At least 5% of the property must be paid for with the buyer’s deposit. The next 20% is paid for with a government loan which in this example would be £40,000. The remaining 75% is paid for with a mortgage from any lender participating in the scheme. The government loan portion of your agreement is subject to different rules than the mortgage portion. The mortgage portion remains subject to the lender’s usual criteria. When you come to repay the equity loan remember the amount will be calculated as a proportion of the value of the home at that time. This means the amount could be higher OR lower than the original loan you secured through Help to Buy. Equity loan cannot be used to purchase a buy-to-let investment, in any shared equity schemes, a second home or for a property worth more than £600,000. What's best for me, equity loan or the mortgage guarantee scheme? One of your first considerations when looking at Help to Buy may be deciding whether you're better off with Help to Buy: Equity Loan or Help to Buy: Mortgage Guarantee. In order to help you decide, here's a reminder of what both initiatives offer as well as the differences between them. When you put down 5% of the property price on a new-build home, the government adds 20% in order to make up a 25% total deposit. This then gives a 75% mortgage to find from a commercial lender. The 20% equity loan is interest-free for the first five years after which it is payable at 1.75% of the loans value per annum multiplied by the current Retail Price Index plus 1%. If you decide to sell the property before the loan is paid back then the government receives 20% of the sale price and you receive 80%. * There are some differences between the Help to Buy schemes available in England, Scotland, Wales, Northern Ireland and London. The buyer puts down 5% as a deposit, 15% of the remaining 95% mortgage is then underwritten by the government in the event of the buyer defaulting on payments. By having the mortgage partly guaranteed by the government, it's hoped that lenders will offer lower interest rates although this is not guaranteed. * The mortgage you take out has to be a repayment mortgage, not a guarantor, offset or interest only mortgage. * The property value you apply for cannot be more than 4.5 times your income. * The last date you can complete a sale using Mortgage Guarantee is 31 December 2016 after which the scheme is closed. Can I buy a home off-plan? Yes, one of the many benefits of buying a new house is you can purchase it even before it's been completed. The advantages of this are many including getting the builders to add fixtures and fittings you choose as part of the build. When a new home development is being built, the housebuilder ideally wants as many homes sold as quickly as possible. The result of this is an early potential buyer being offered financial incentives such as having legal fees or stamp duty paid, or some ‘extras’ provided for free. Of course, when buying off-plan, it's important not to rush into any decision no matter what financial incentive you're given. You should have as clear a picture as possible of the new house you're moving into. The main way you'll achieve this is by viewing the show home. Yet, you'll also be shown floor plans, online properties that are similar or computer generated designs. You can ask for any documentation or resource from the developer that you feel would give you a better idea of the home you're thinking of buying. Just as with any other house purchase, do as much research as you can about the area, double check any information you're given and don't rely entirely on the promises given by the developer. It may seem strange at first buying a home that hasn't been built yet, but it can also be very exciting as well as you see your new home being constructed right before your eyes. Buying a home off-plan can also have extra advantages such as it usually being worth more when it's completed than the price you paid for it at the beginning of construction. If and when you do decide to buy off-plan, you should know already when the estimated completion date is. Builders have to work to strict guidelines so if they're late in due dates they can pay financial penalties. Once you feel completely satisfied the property is the one you want to purchase then you can reserve it. It may be a plot you reserve and again within a development the sooner you can reserve a plot, the better. After you have reserved your new home, you can pay a deposit at a later date. If you already know you qualify for Help to Buy, you can go to your local Help to Buy agent and inform them of your plans. You also need to find a lender to provide the remaining mortgage, for instance, 75%, for equity loan. You also need a solicitor to deal with all the contract paperwork. As the completion date of your new home becomes nearer, so you can check the progress of the house build and deal with the final paperwork. You should have a snagging survey carried out and once you're satisfied everything is correct, it's simply a case of moving into your new home. The Stamp Duty Land Tax (SDLT), commonly referred to as simply stamp duty, is applicable on all Help to Buy properties. This means for Help to Buy: Equity Loan the SDLT is applicable on the full 100% property purchase price, even it's split up into the 5% deposit, 20% equity loan and 75% mortgage. For Shared Ownership, there are two ways to pay SDLT. You can either make a one-off payment up front (known as making a market value election) which is based on the full market price of the property. Otherwise, you can pay the stamp duty in stages. If you choose this way you pay SDLT on the first sale amount. Yet, you don't have to pay stamp duty when you're staircasing until you own 80% of the property. You also don't have to pay SDLT when the home is sold. For more details on how SDLT is applied you can go to the government's SDLT Shared Ownership page. Are there any restrictions on the type of property I can purchase? With Help to Buy Equity Loan, there are restrictions on the type of the property you can buy. In terms of price, the maximum value of the property is £600,000 in England. The equivalent scheme in Scotland has a sliding scale of maximum property prices year on year. In Wales, the maximum property price is £300,000. It must also be a new build home with the housebuilder having a registration agreement with the Homes and Communities Agency. There are no restrictions on the number of bedrooms the property has or the general type of property it is. Using our comprehensive search facility on Whathouse.com you'll see immediately there are all kinds of new homes available to purchase through Help to Buy right across the country. When looking for a help to Buy property you'll always see the Help to Buy sign next to it which notifies you it is eligible for the scheme. Can I rent out my Help to Buy home once its bought? No, you cannot sublet your home once you buy it. The aim of Help to Buy is to assist buyers to get on the property ladder. It cannot to be used for buy to let. In addition your home must be your only residence and the place you intend to live in. Nevertheless, there could still be some exceptional circumstances where it would be possible to rent out your home. For instance, if you were in the armed forces on a tour of duty away from home then it may be possible but even then you would need permission from your local housing association and mortgage lender. In general, you cannot rent out your home.